Vibram five finger shoes: ever put on a Purple Cow? The essence of the Purple Cow – the reason it would shine among a crowd of perfectly competent, even undeniably excellent cows – is that it would be remarkable. Something remarkable is worth talking about, worth paying attention to. Boring stuff quickly becomes invisible…The world is full of boring stuff – brown cows – which is why so few people pay attention. Remarkable marketing is the art of building things worth noticing right into your product or service. OK, I get it, you get it, but when was the last time (besides an Apple product) that you actually experienced a Purple Cow? I did last Sunday, and they look like this. These are the ugliest shoes I’ve ever seen. I actually remember, about a year ago, talking to someone who was wearing them, and I ended up thinking not-so-nice things about the “someone’s” fashion sense. Everyone I know (friends, spouse) who hasn’t worn them implored me not to buy them. And yet. And yet I tore up my knee skiing in 1993. And yet I haven’t been able to run since 1999 when, after a 10 mile training run as a lead-up to my first (planned) marathon, my knee cried “uncle” and I was done. Ever since then, I run for 20 minutes and, like clockwork, I have to stop. 11 years without being able to run. 11 years of owning orthotics and big cushy Asics and no matter what I did, no dice. My friend Jose who is an ultra-marathoner was the real inspiration here. Eight months ago when I told him about my knee troubles he said, “that’s easy, just run barefoot.” I didn’t even consider it (too painful), but the idea somehow stuck. And then I started thinking about the Vibrams and I couldn’t shake the idea. And finally last Saturday I bought them (the KSOs – “keeps stuff out” – if you’re interested). And I went for a 40 minute run on Sunday and I was fine. 40 minutes! I was giddy for much of the run (OK, not the last bit, when I was just tired). I could actually feel the differences in the hardness of asphalt and stone driveways. I could feel pine needles on the pavement. I could feel my feet and ankles working and absorbing the shock of my leg hitting the ground, and could feel that my leg was hitting the ground in a different way that protected my joints and used my muscles. True, my ankles are sore and my feet are tired, but my knee feels fine. I’ve got a feeling this is going to work out fine, and I may be able to run again. I’ve also got a feeling that I have to read up on Vibrams and barefoot running, because it is literally impossible to wear these things and not get questions about them. And so the story spreads. I bet Vibram never once has to take out any mass media ads. Why would they bother when their product markets itself? Tim Ferris of Four Hour Work Week fame has the most detailed and well-researched explanation of Vibrams that I’ve been able to find (Tim says that 10 years of back pain vanished in a few weeks for him). And I’m reading Born to Run for a combination of information (so I can answer all the questions I’m getting) and inspiration. My purple cow conclusion is that there’s no such thing as a little bit remarkable. There’s no adding on remarkable after you’ve made a bunch of compromises, or dressing up a brown cow with a word-of-mouth campaign to turn it purple. Think about it: these are the UGLIEST shoes you can imagine. Remarkable means creating rabid fans and people who are appalled. Remarkable means your customers will have no choice but to research your product/service/company after they buy so they can become more effective evangelists. 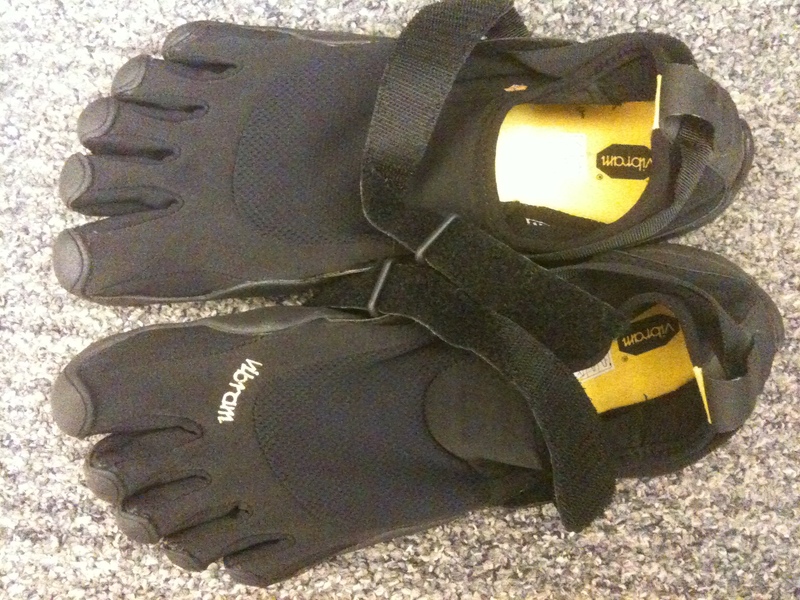 These horrible, ugly Vibrams are so remarkable that they might change your life. The next time you share something you find remarkable with some colleagues – a video or a product or an idea you’re creating – and it’s really polarizing (“I love it!! !” “This is awful!”), that may be a sign that you’re finally on to something. Born To Run is an awesome book. finger shoesThe typical human foot is an anatomical marvel of evolution with 26 bones, 33 joints, 20 muscles, and hundreds of sensory receptors, tendons and ligaments. finger shoes are like the rest of the body, to keep our feet healthy, they need to be stimulated and exercised.